There are some jobs that just don’t need a full size vacuum and this is where the Eureka Hand-Held Vacuum is a great choice! It has 2 powerfuls motor and a 20 foot storable power cord so you can use it easily in any area of the house. 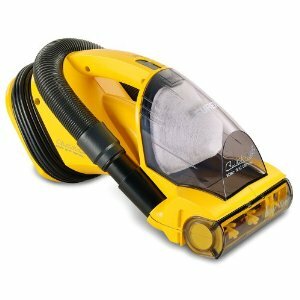 It is great for stairs, sofas, cars and any small area of the house when you do not want to lift the heavy full size vacuum. Another great feature is that it does not need a bag – you just shake out the container and filter to clean it. When you are looking for any kind of household appliance you always want to know that others like it, and the Eureka Hand-Held Vacuum has 4.5 stars with over 1600 reviews, so you know this is a great choice! HOT: 30% Off at Plum District Today and Tomorrow (5/23 & 5/24)! Get $15 Off Your First Pair of Shoes at Sole Society with Coupon Code! Get a $100 Restaurant.com Gift Certificate for just $8…No, Really!